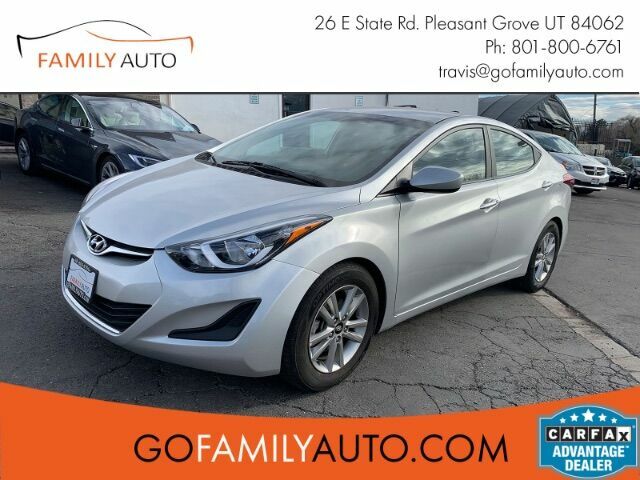 CarFax Certified on this fuel efficient Silver 2016 Hyundai Elantra SE Automatic. This well maintained car is loaded with tons of great features, such as; Power Windows/Locks, Cruise Control, Keyless Entry, AM/FM/XM, Bluetooth, Back Up Camera, and so much more! All cars are pre inspected and have passed a rigorous 72 point inspection. This NON-SMOKER is ready to be your next car. Visit us on the web at www.GoFamilyAuto.com or call us at 801-800-6761. Full CarFax and vehicle report available upon request or click the VIN# in this ad.